Develop your electronic control unit (ECU) with our scalable basic software, operating systems, and tailor-made tool environment based on Classic AUTOSAR. EB is AUTOSAR premium member right from the start. EB has more than 30 years of expertise in automotive basic software development. We conduct more than 39, 000 automated tests on 20 target architectures every night to ensure the quality of our products. But it’s not just the number of tests we conduct; it’s the quality of those tests. We meet the highest criteria for mass production software, with test suites that guarantee 100% testing coverage of our source code. With a local presence and broad range of partnerships, we know the needs of carmakers like BMW, Daimler, GM, JLR, PSA, Volkswagen/Audi, and Volvo, to name a few. We help our customers deliver state-of-the-art software through our customized Classic AUTOSAR solutions, which address each carmaker’s specific requirements. EB has long-term relationships and cooperates closely with leading semiconductor vendors like NXP and Infineon. That includes testing on their target systems for production level quality. Our close ties allow us to integrate software early on for innovative automotive microcontrollers and be part of the latest automotive car platforms. 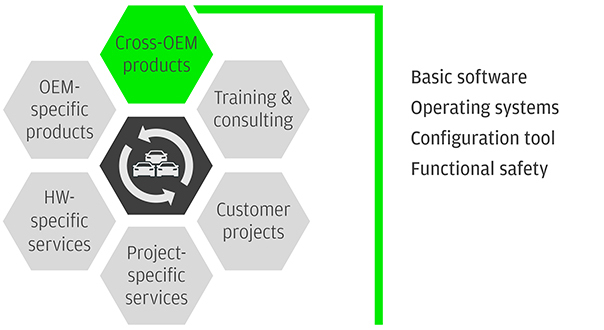 For each project, we offer the right solution to fit your needs, starting from OSEK/VDX-compliant basic software up to multi-core and Functional Safety systems based on Classic AUTOSAR. 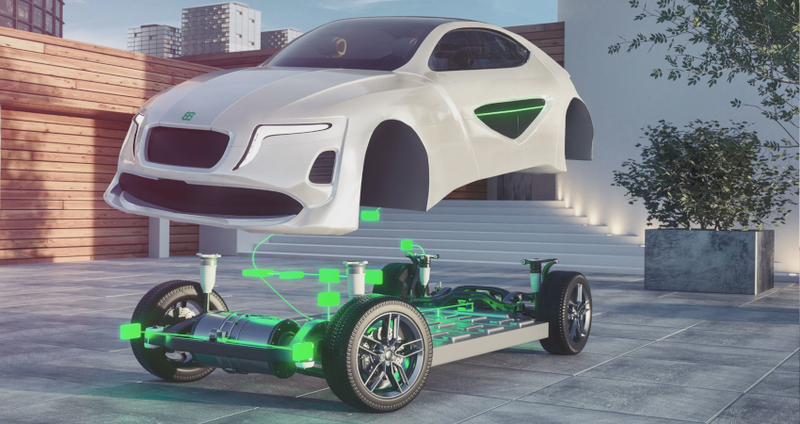 Check out our latest software package for NVIDIA DRIVE™ PX, a development platform for advanced driver assistance systems (ADAS). Our basic software stack for Classic AUTOSAR ECUs. Our software package for OSEK/VDX-compliant ECUs. Our virtual AUTOSAR basic software, which runs on a Win32 platform. A single-core and multi-core real-time operating system that implements the latest AUTOSAR standard and all its scalability classes. A robust and protected single-core and multi-core Safety Operating System compatible with the latest AUTOSAR standard. A consistent tool environment for Classic AUTOSAR-based ECU software configuration, validation, and code generation. Takes care of the safe handling of run-time-environment (RTE) services between software in different partitions. A software module that enables the timing and execution supervision of safety-related applications. A set of modules that supports the transmission of safety-related data between ECUs.